The Kent County Tourism Development Office welcomes you to Kent County. For a Free visitor information packet, please call us at 410-778-0416, fax us at 410-778-2746, click here for a form to submit your request for information or e-mail us at tourism@kentcounty.com. 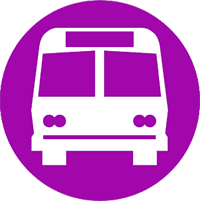 We’ll be pleased to answer your questions and help you with your travel plans. Office Hours 8:30am-4:30pm Monday-Friday, except for Federal Holidays. The Kent County Visitor Center is a 4400 square foot facility on the corner of MD Route 213 (Maple Avenue) and MD Route 289 (Cross Street) in Chestertown, MD. When entering Chestertown from the south on MD 213, the Visitor Center is located at the first traffic light. The Center was built by the Town of Chestertown and opened in January 2003. 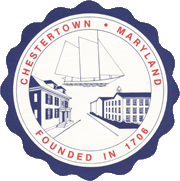 It was funded with Federal Transportation Enhancement Program monies, a State of Maryland Legislative bond bill and Town of Chestertown hotel tax revenues. The first floor of the Center features visitor information on Kent County, Chestertown, Rock Hall, Galena, Millington, Betterton, and the region. Also located on the first floor are public restrooms. Upstairs in the facility is the Kent County Chamber of Commerce. Monday through Friday – 9:00 a.m. to 5:00 p.m.
Saturday and Sunday – Summer 10:00 a.m. to 4:00 p.m.
Winter hours are shortened on the weekends to 10:00 a.m. to 2:00 p.m.